Portland Meadows is located on over 100 acres in the Delta Park area of Portland, Oregon and is a quick five minute drive from downtown. It features a one mile oval track with the distance from last turn to the finish line at 990 feet. The track has a 6 furlong chute and a 1 1/4 mile chute, more often used for quarter horse racing. 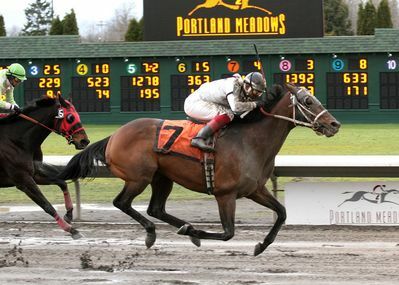 Portland Meadows has a capacity of 4,450 people (Grandstand 3,000; Club house 1,000; Turf Club 450). The paddock is located inside, adjacent to the grandstand and offers saddling stalls for up to 12 horses.